The Bell X-1 was the first piloted plane to fly faster than the speed of sound. Flown by USAF Captain Charles “Chuck” Yeager, the Bell X-1 rocketed to supersonic speeds for the first time on October 14, 1947, over Muroc Air Base in the Mojave Desert. It has a wingspan of 8.5 meters (28 feet) and a length of 9.5 meters (31 feet), with a weight of 13,034 pounds. Many people thought that any plane trying to fly faster than the speed of sound would break apart once it reached the sound barrier. 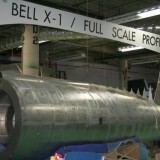 But the unique .50 caliber bullet shape of the Bell X-1, paired with its strong, super-thin wings and adjustable horizontal stabilizer, made it a perfect vehicle for supersonic travel. A total of three X-1s were made, but by far the most famous one was the X-1-1 (#46-062), which was used in the first supersonic flight. Captain Yeager, who named the X-1-1 “Glamorous Glennis” after his wife, piloted it to its top speed, Mach 1.45. Originally designated XS-1, the Bell X-1 was developed as part of a cooperative program initiated in 1944 by the National Advisory Committee for Aeronautics (NACA) and the U.S. Air Force to develop special manned transonic and supersonic research aircraft. On March 16, 1945, the Army Air Technical Service Command awarded the Bell Aircraft Corporation of Buffalo, New York, a contract to develop three transonic and supersonic research aircraft under project designation MX-653. 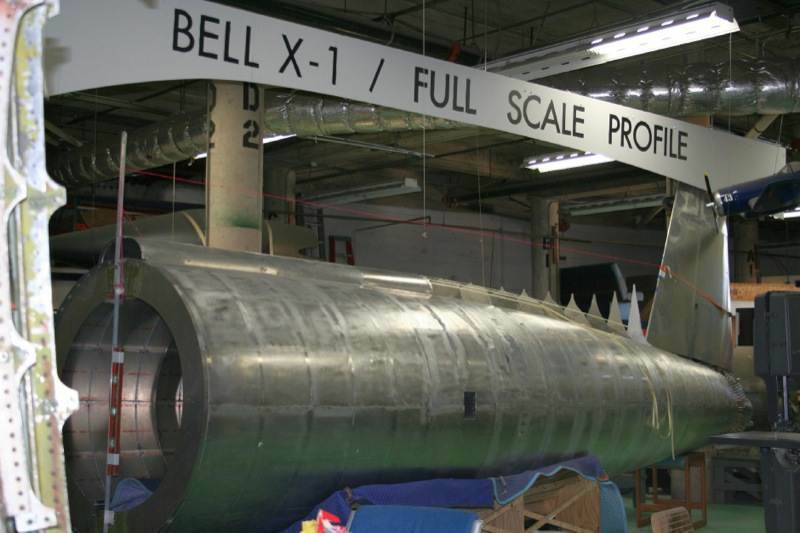 The XS-1 built by Bell stands for Experimental Sonic-1, and later dubbed the X-1. 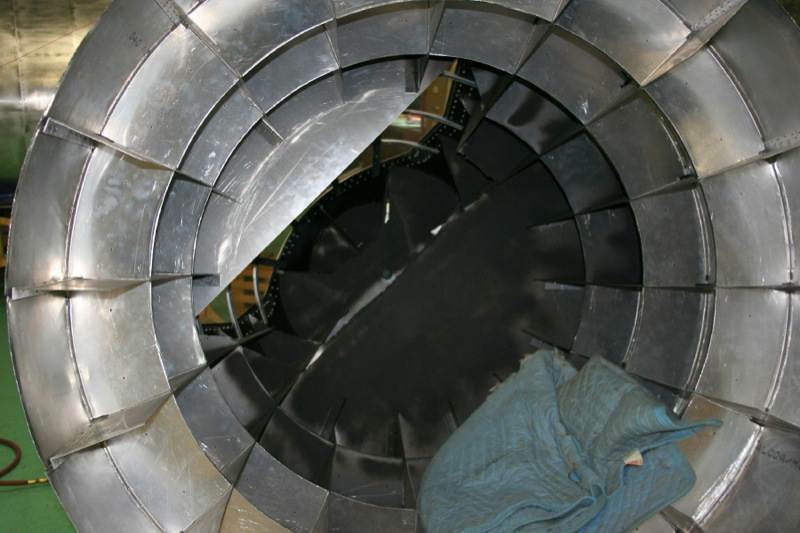 The first two XS-1 aircraft did not utilize turbo pumps for fuel feed to the rocket engine, relying instead on direct nitrogen pressurization of the fuel-feed system. The smooth contours of the XS-1, patterned on the lines of a .50- caliber machine gun bullet, masked an extremely crowded fuselage containing two propellant tanks, twelve nitrogen spheres for fuel and cabin pressurization, the pilot’s pressurized cockpit, three pressure regulators a retractable landing gear, the wing carry-through structure, a Reaction Motors, Inc., 6,000-pound-thrust rocket engine, and more than five hundred pounds of special flight-test instrumentation. 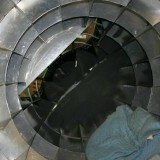 The Air and Space Museum is constructing an exact reproduction of the Bell X-1, which is projected to be finished in 2013. 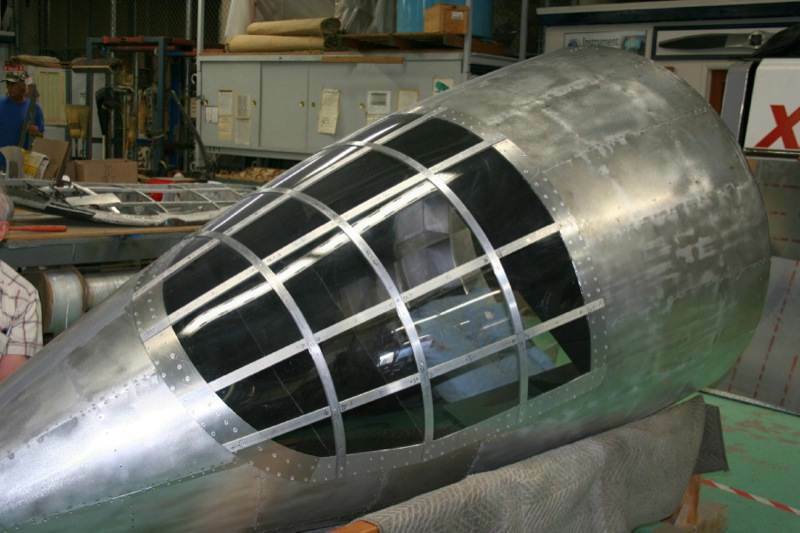 This is a very important project to the Museum, as there is only one original Bell X-1 in the world, currently located at the Smithsonian’s National Air and Space Museum. This project will cost about $10,000 to complete, and has 8 volunteers working on the project. The Bell X-1 was equipped with a 10 percent wing and 8-percent tail, (measured as the thickness divided by the chord of the airfoil), powered with an XLR-11 rocket engine and was air-launched from under a B-29A. The X-1-1 was glide-tested at Pinecastle Army Field, Orlando, Florida, starting on January 25, 1946. The first powered flight of the X-1-1 was made on April 11, 1946, at Muroc Army Air Field with Chalmers “Slick” Goodlin, a Bell test pilot, at the controls. On October 14, 1947, with USAF Captain Charles “Chuck” Yeager as pilot, the X-1-1 flew faster than the speed of sound for what is generally accepted as the first supersonic flight by a piloted aircraft. On January 5, 1949, the X-1-1 aircraft with Yeager as pilot achieved the only ground takeoff of the X-1 program. He reached just over 23,000 feet before the limited propellant was exhausted. Captain Yeager was also the pilot when the X-1-1 reached its maximum speed, Mach 1.45. Another USAF pilot. Lt. Col. Frank Everest, Jr., was credited with taking the X-1-1 to its maximum altitude of 71,902 feet. The X-1-1 retired on May 12, 1950 after making eighty-two glide and powered flights with ten different pilots. 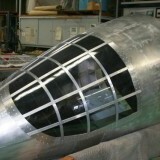 On August 26, 1950 the aircraft became a permanent resident of the National Air Museum, In Washington, D.C. 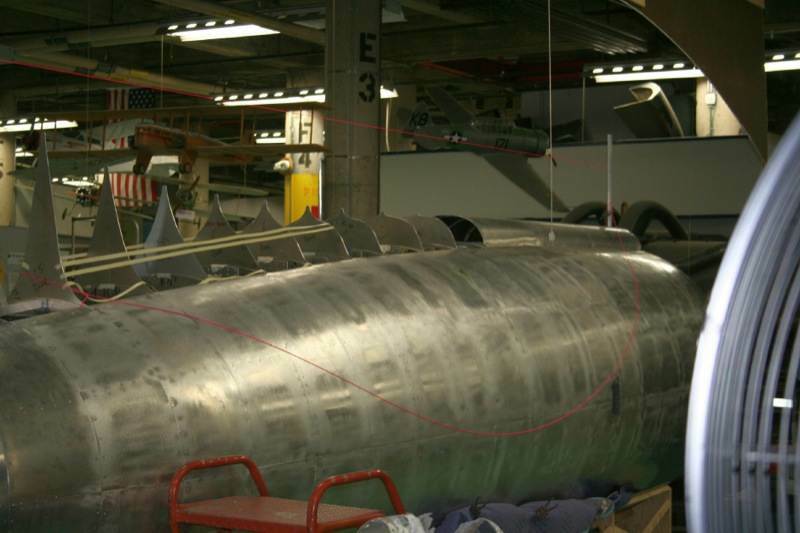 In 2011, the San Diego Air and Space Museum started making an exact replica of the Bell X-1.